We selected the ‘Best on Show any US subject’. Winner: Julian Bishop of the Gold Reef Scale Modellers, Johannesburg. 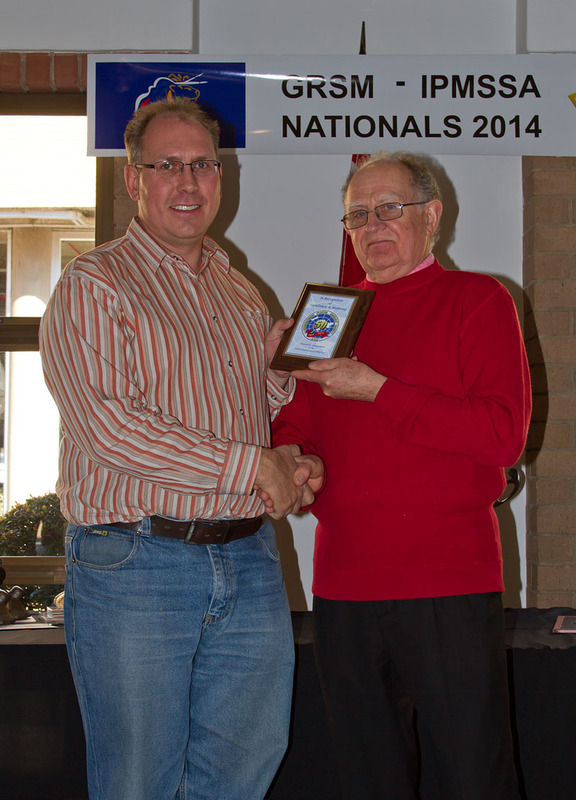 Julian is on the left, the award is presented by Colin Burgess, IPMS/SA President. 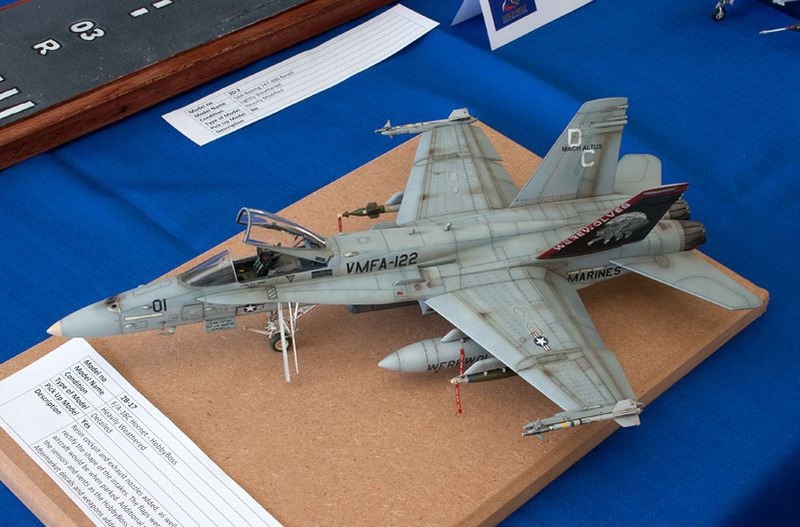 Model: HobbyBoss 1/48th F-18A/F Hornet, heavily weathered. Julian is a WWII aircraft modeler, this is his first jet.